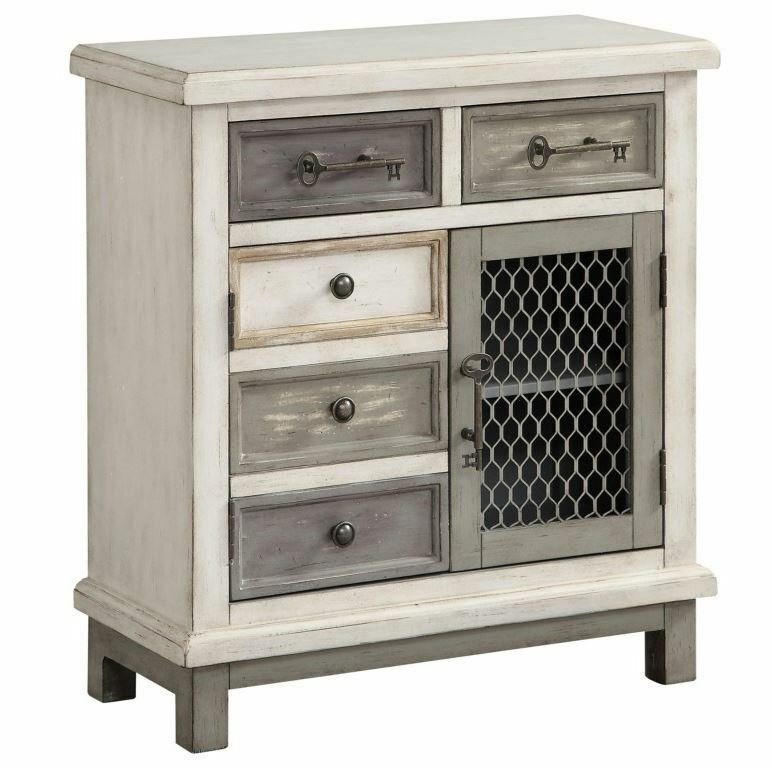 A standout piece for any room, whether it’s your dining room, living room, or even bathroom, the Keystone Two Door Two Drawer Cabinet showcases a relaxed vintage style loaded with functional detailing. 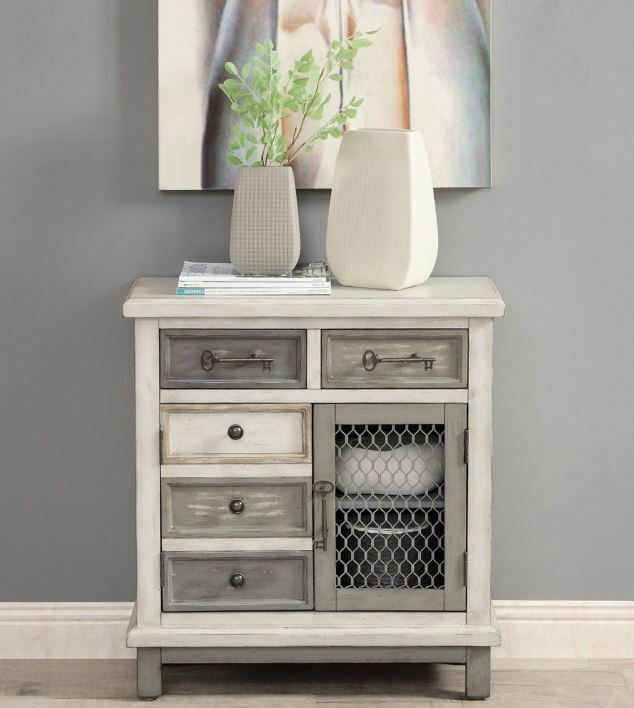 Featuring washed shades of greys, greens and creams with oversized key hardware and a see-through mesh door, this handy cabinet will serve your space beautifully. 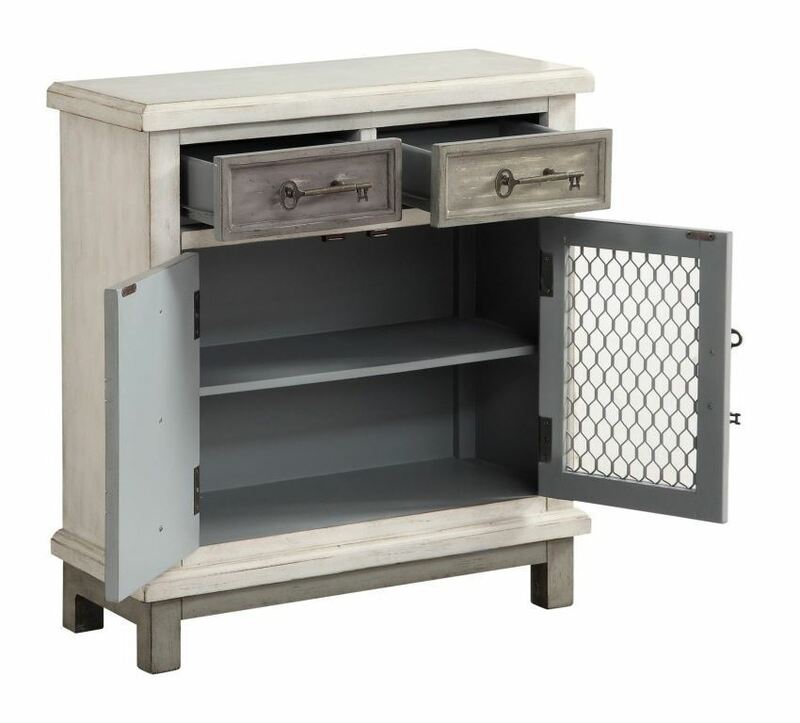 A standout piece for any room, whether it’s your dining room, living room, or even bathroom, the Keystone Two Door Two Drawer Cabinet showcases a relaxed vintage style loaded with functional detailing. Hand painted finish in keystone multicolor. 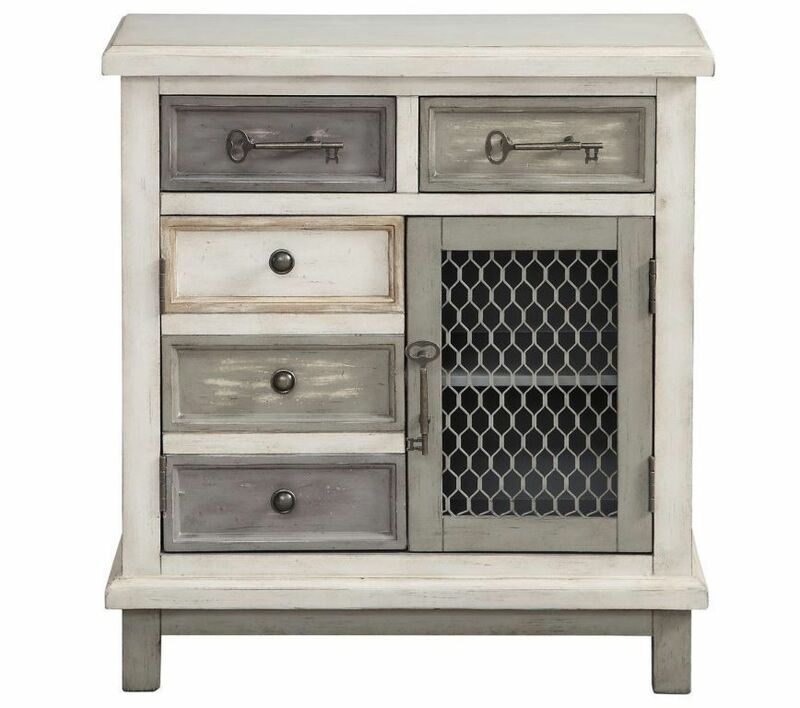 One fixed shelf, decorative key hardware. Wire mesh door front and adjustable levelers.